After a long summer day I love cooling down in the shade with a nice frozen treat. Ice cream, smoothies, slushies, popsicles & floats? Yes please. And when it comes to my dog I like to let her in on the fun by making her some cool & refreshing treats of her own. 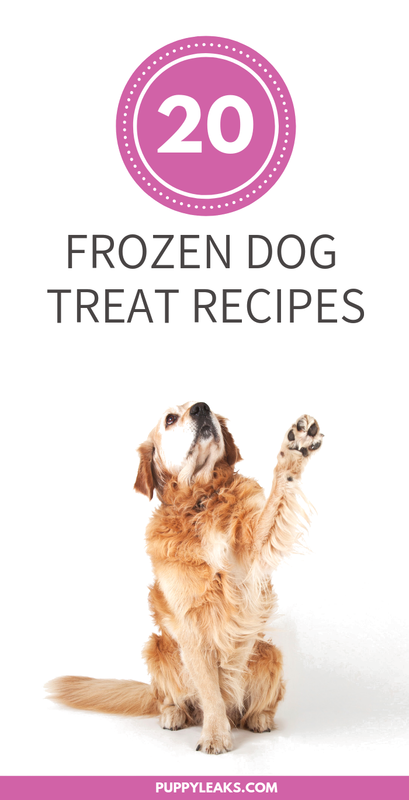 Not sure how to make frozen treats for your dog? No worries, I’ve got you covered. I’ve put together a list of my favorite frozen dog treat recipes. They’re easy to make, and a nice way to help keep your dog cool this summer. 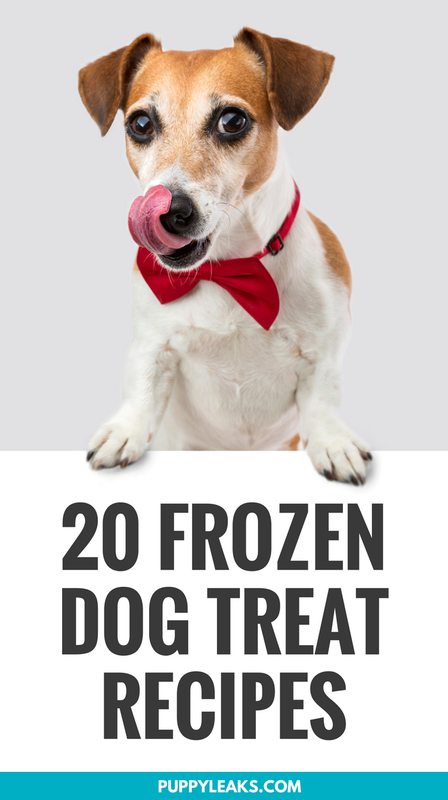 Here’s 20 frozen dog treat recipes. If you’re looking for even more recipes be sure to check out our list of 25 homemade dog treat recipes, all made with 5 ingredients or less. 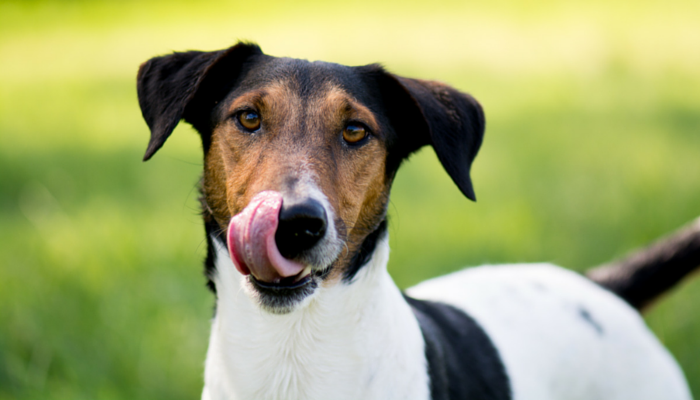 This frozen dog treat recipe is a great way to treat your dog this summer. They’re made with peanut butter and banana, and they’re an easy way to keep your dog cool and entertained. Does your dog love apples as much as mine does? If so check out these easy to make frozen apple dog treats from Irresistible Pets made with apples and yogurt. These frozen watermelon dog treats from Petguide are one of my favorites. Laika and I both love watermelon, and these treats are a favorite summertime snack. Fruit is a summertime favorite of mine (and Laika’s), so I love these fruity frozen dog treats. 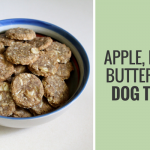 They’re easy to make, and they’re a nice little summertime treat for dogs. These frozen blueberry coconut oil dog treats are made with blueberry & coconut oil, and they’re a great way to give your dog a nice refreshing treat this summer. Looking for an easy way to keep your dog cool and entertained this summer? Give this doggie ice pop recipe a try. They’re made with banana, peanut butter, honey, yogurt and a sturdy dog chew or bone to use as a handle. 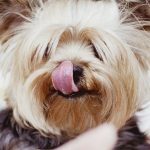 This yummy frozen dog treat recipe from Close to Home is made with banana, peanut butter, honey and yogurt. These frozen dog treats from Beagles & Bargains are a favorite of Laika’s, and they’re made with blueberries, yogurt and banana. This homemade frozen dog treat recipe is made with banana, yogurt and peanut butter. Looking for a cool treat to give your dog this summer? Check out these frozen dog treats are made with banana and blueberries. 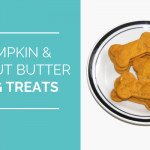 These yummy frozen pumpkin dog treats made with pumpkin puree, yogurt, honey and banana. These frozen watermelon dog treats are a favorite of Laika’s, and they’re a favorite of mine because they’re super cute and easy to make. These frozen dog treats are made with chicken stock, chopped parsley leaves and peanut butter. These frozen pupcakes are super cute; they’re made with peanut butter, yogurt, banana, and almond milk (or water). Do you have some strawberry on hand? If so check out these easy frozen treats made with strawberry and peanut butter. These frozen pup pops are made with yogurt, pumpkin puree, honey and banana. These frozen luau dog treats are cute and refreshing. 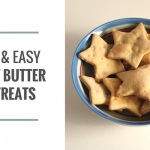 They’re made with peanut butter, yogurt and banana. Looking for a really simple frozen treat to make for your dog this summer? Check out these watermelon & yogurt frozen dog treats. These frozen peanut butter banana pops are made with peanut butter, banana baby food, honey and yogurt. These frozen PB&J dog treats are easy to make and super cute. They’re made with strawberries, blueberries and peanut butter. What a great roundup of frozen dog treats Jen – even MY mouth is watering just looking at these! I pinned to my DIY board. Thanks for sharing. These are great! My dog loves peanut butter so I’m going to make her the Peanut Butter Pupsicles. It’s going to be really hot here this week so I know she will enjoy these, thank you! ??? ?